Promotional value expires 120 days after purchase. Amount paid never expires. Cannot combine with other offers, specials, or promotions. Limit 1 redemption per visit. Limit 1 per person. May be repurchased every 90 days. Merchant is solely responsible to purchasers for the care and quality of the advertised goods and services. A massive selection of frosting, toppings, and gourmet cinnamon rolls awaits treat-seeking shoppers at Cinnaholic. Here, everything is 100% vegan and made with soy, beet sugar, and nonhydrogenated oils. The menu features specialty rolls—including mocha almond and rocky road—or customers can design their own. 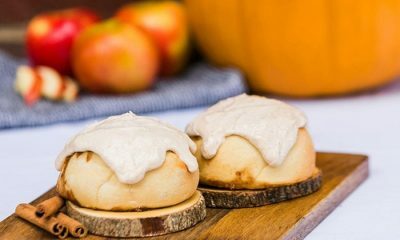 Starting with a freshly baked cinnamon roll, they can adorn it with frosting available in flavors such as lemon, orange, raspberry, or hazelnut. Then they can pick out toppings such as gingersnaps, jam, apples, or pecans before sampling their creations.